For a limited time, Play & Park Structures is offering a SelfieSwing DEMO program for qualified customers. 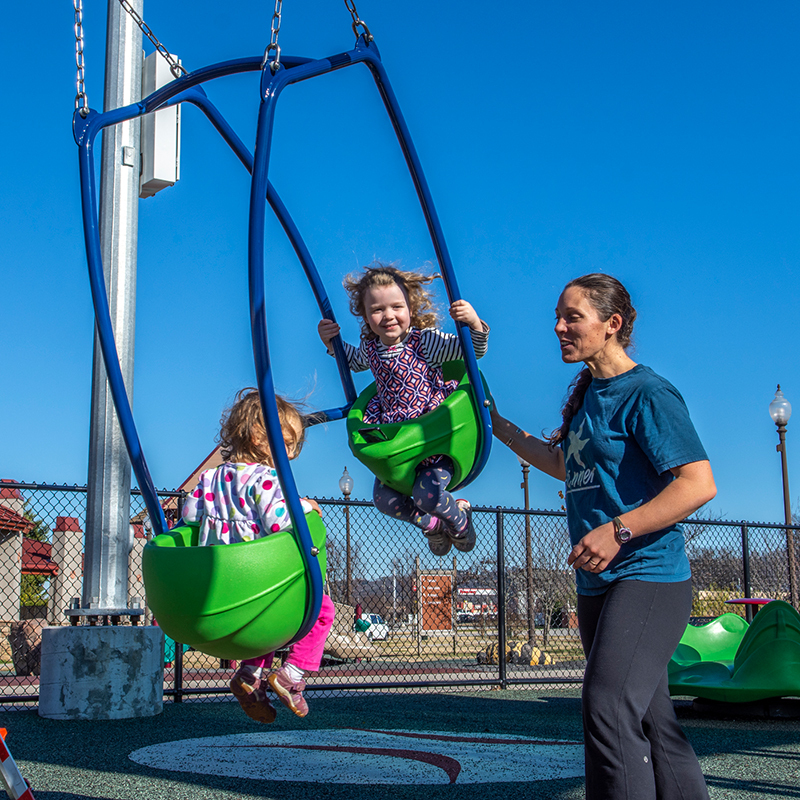 Now municipalities can test out this innovative new swing in their premier locations by offering expanded swing bay capacity, increased user engagement and social sharing, as well as attracting more park visitors! Choose from one of three SelfieSwing options: The reflections SelfieSwing, the totmates SelfieSwing, or the tweenmates swing. Parent and child can enjoy face-to-face interaction, while recording the moment! 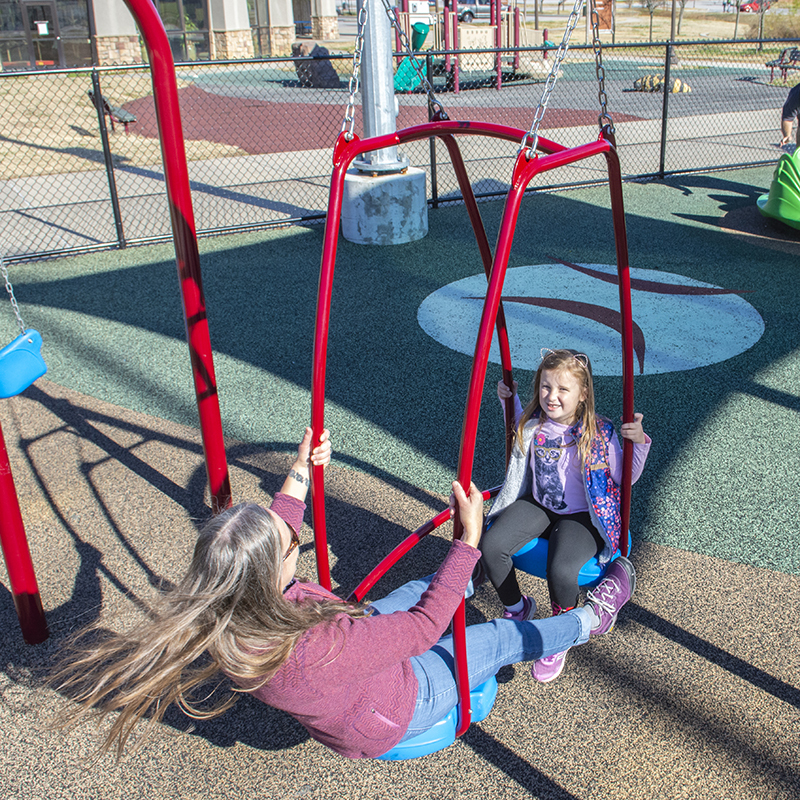 Parents can push both children in one swing at the same time! 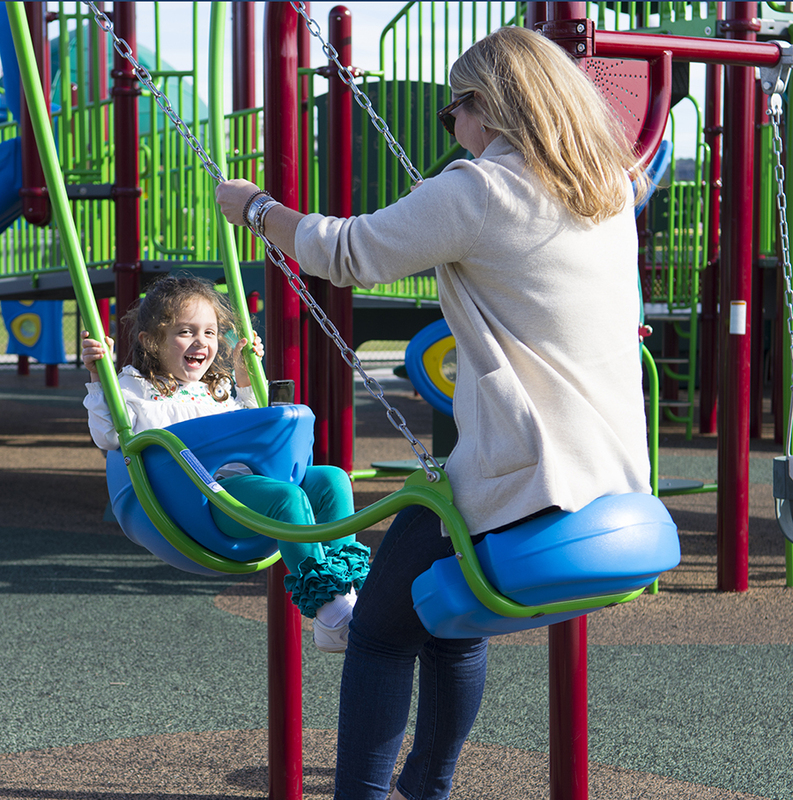 Face-to-face swinging fun for children 5-12 years and up to adult!